Get ready for some hot Michigan gumbo! Ann Arbor’s Cajun, Zydeco band Maison Bleue play the music of southern Louisiana as authentically as possible, even singing songs in Cajun French. 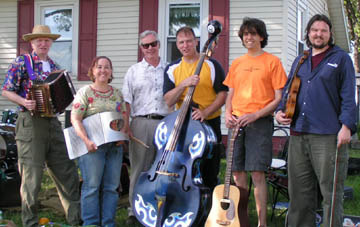 Formed in 2000, they feature accordion, fiddle, and guitar on melody, while guitar, bass, drums, triangle and rubboards fill out their tight rhythm section. Grab some Mardi Gras beads and dance! Combinaison idéale: le Michigan et le français cadien. Bravo top of the Park! We need to be a proficient person in the business. So, we need to hire business education qualified person in our company essaypro writing have knowledge of the business. Because he has knowledge then he doing “right things right” because it’s good for business. J'apporterais beaucoup des personned de Turkey dequi sont ici pour un conference. Si j'irai assessoir avec a eux problament!